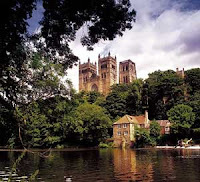 The Epistemic Vices Conference, held in Durham in September 2015, put epistemic vices in the spotlight, with a series of talks on both what makes something an epistemic vice and the nature of specific epistemic vices. On day one Heather Battaly argued that virtues and vices are traits that express who someone is as a person, even if the person is not responsible for the possession or exercise of the traits. She argued that this view—personalism—is better equipped than existing forms of virtue epistemology to tackle some examples where people display intellectual vice, e.g. where a person is prejudiced due to their upbringing in a racist society. Quassim Cassam argued that intellectual vices are traits that impede effective and responsible inquiry. He described how intellectual vices perform a significant role in explaining poor epistemic conduct. Responding to the situationist challenge, he claimed that virtues are often local rather than global traits. I highlighted a family of virtues and vices relating to the way that people respond to the effects that features of their local situation can have on their cognition: virtues requiring appropriately attending to and controlling these situational influences, and vices displayed via lack of appropriate attention and control. Ian James Kidd outlined how it is possible to successfully charge others with epistemic vice but claimed that it is difficult because it requires many conditions to be in place, e.g. speaker and target must share a concept of vice. On day two Maria Altepeter argued that there is an intellectual vice of excessive desire for knowledge. She argued that it is possible to desire to know so strongly that one ends up in a position in which one cannot come to believe, or consequently know, about a particular matter. Caleb Cohoe described how people can be subject to the vice of false pride. He argued that to avoid this vice it is necessary to cultivate a virtue of receptivity. Displaying receptivity will be an inherently social activity, involving calibrating attitudes with others in one’s community about which sources of information are reliable. Wayne Riggs claimed that one can be justified in believing what seems to be the case from one’s own perspective, unless this perspective is challenged by some new information or considerations. If one’s perspective is challenged, one needs to be open-minded, and this will sometimes require occupying another’s perspective and/or developing a perspective that encompasses both your own and another person’s perspective. Kyle Scott discussed whether it is possible to hold steadfast to one’s views in the face of reasonable disagreement with epistemic peers without displaying the vice of intellectual arrogance. Alessandra Tanesini discussed the vice of intellectual arrogance, which involves disrespecting and thinking that one is not answerable to others. She argued that by displaying intellectual arrogance one can cause other people to display the intellectual vice of timidity. I suspect that the other attendees benefited, as I did, from the stimulating and collegial atmosphere in this conference. Congratulations to the organizers for a very successful event!